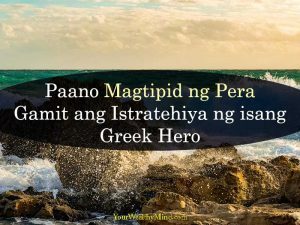 Ang isa sa pinakamahalagang aral tungkol sa pagyaman at pag-asenso ay ito: Ang pag-asenso mo ay hindi nakabase sa iyong kinikita, kundi sa natitira sa iyong kita. 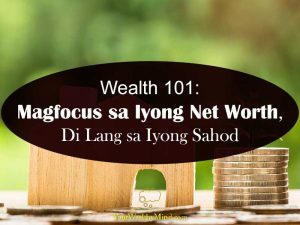 May kuwento sa librong The Richest Man in Babylon kung saan tinanong ng isang matalino (at mayamang) tao kung ano ang trabaho ng mga tinuturuan niya para ilarawan ang isang mahalagang aral. Nakita niyang mayroon doong manunulat, may isang butcher (nangkakatay ng karne), at marami pang ibang trabahador. Iba iba ang kanilang sahod, pero ang mga pitaka nila ay pare-parehong walang laman. Hindi sila umaasenso. Hindi ba dapat ang mga kumikita ng mas mataas ay dapat may mas maraming ipon kumpara sa iba? Bakit hindi? At bakit makikita rin natin ito sa karamihan sa atin ngayon? Ipagpatuloy mo lang ang pagbabasa para matutunan mo kung bakit, at para malaman mo rin ang solusyon. 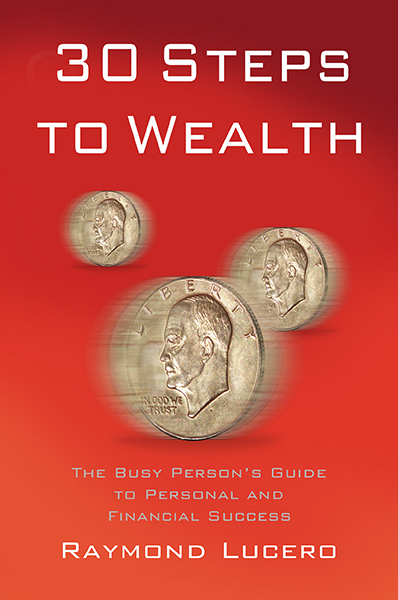 One of the most valuable lessons about wealth is this: it’s not how much you earn, but how much you keep. There’s a story in The Richest Man in Babylon where a wise (and wealthy) man asked people what they do for a living in order to demonstrate a point. There was a scribe, a butcher, and several others from different lines of work. They had different levels of income, but their wallets (purses) were all equally empty. Shouldn’t the ones who earn more have more savings than those who earn less? Why not? And why does that apply to us who live in more modern times? Keep reading this article to learn more, and to learn the solution. The temptation to spend is everywhere. There are sales and discounts, luxury goods, and cool stuff we don’t actually need. There’s a nice new shirt or piece of clothing on the store window. There’s that little snack bar that makes your favorite food. There’s that nice set of headphones, earrings, or accessory that you want… and you do have money for all of them. It can’t hurt to buy a few, right? A half-dozen shopping trips later, you realize that your wallet is almost empty and you barely have enough in your bank’s savings account to survive until the next payday. The temptation to spend is everywhere and there’s always something we want to buy. We can, indeed, set a budget, but most likely we’ll overspend and break it. What should we do? 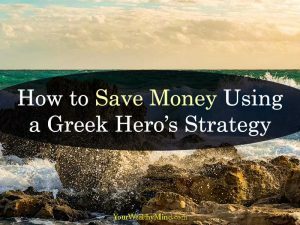 In Dan Ariely’s book, Dollars and Sense, there’s a strategy an ancient Greek hero used to avoid danger, and we can use that to save money and stop overspending. Dan called it “Ulysses contracts”, and it’s basically any strategy we use to avoid future temptation. A common notion that many people hold is the idea that for the important things in life, effort needs to be put forth to achieve one’s goals. While this is an honorable belief to hold, in reality sometimes finding the easy way out isn’t always a bad thing. Especially when it comes to money, the less effort you have to put forth in order to get more, the better it is. It is this way of thinking that has led countless individuals on a journey of finding simple hacks to save big bucks. 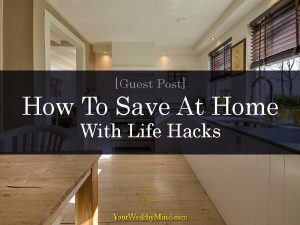 Though hacks can be use in a number of places, one of the simplest and most beneficial is our own homes. To start saving money without feeling you’re doing anything outside of the norm, here are some easy hacks to start using. During the warmer months, the annual struggle with managing the heat within our homes begins. And as we work to ensure things are at a comfortable temperature, we often end up needlessly costing ourselves as the measures we take to cool things off such as using the air conditioning can quickly add up. A better alternative would be to utilize the fans in your home, which are just as effective for far less money. The hack comes into play during the winter months in which fans can still be used to regulate the temperature in your home. During these times, set your fan to run clockwise, the opposite direction of the standard setting. This actually pulls the warm air that rises back down, which helps improve the overall feel of the room and acts as one of the easier ways to conserve energy in your home.